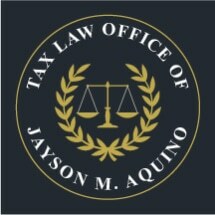 The Tax Law Offices of Jayson M. Aquino, CPA, Esq., provide top-notch, comprehensive tax services to businesses and families in Orange County and throughout the Los Angeles metro. From our Garden Grove office, we can help you resolve any tax dispute with the IRS or California Franchise Tax Board. Running a business or working for yourself often comes with complex legal and tax problems. When searching for a lawyer to help you find a solution, it is important to look at experience. Has the lawyer or law firm handled similar tax controversies successfully? Does the lawyer have the specialized knowledge of both accounting and the law? Our founding attorney has a rare combination of skills. In addition to a broad understanding of tax law, he is a certified public accountant and can easily read a balance sheet. From incorporating your business to resolving tax issues, the Tax Law Offices of Jayson M. Aquino, CPA, Esq., can handle all your legal and accounting needs under one roof. We offer cost-effective solutions and efficient results. Learn how we can help by scheduling a consultation today.